The largest airport in Europe, the third largest worldwide. Most visited city in Europe. And finally, with almost 8.5 million citizens the most populous city in the European Union. Which European city meets the eye when it comes to superlatives? Of course, in England’s capital. 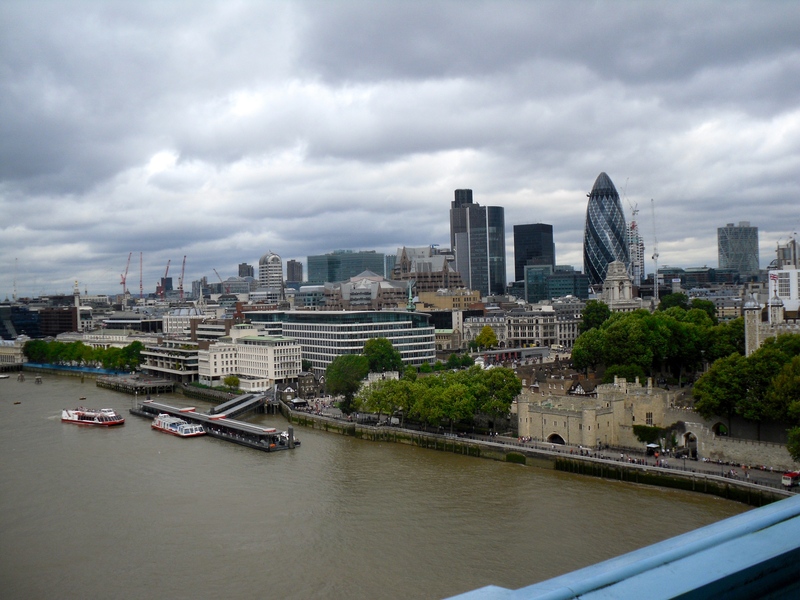 Not just because of that it took me several times at the city on the Thames. For me, the city has its own special flair, probably best described as a mix of international, modern city paired with tradition. 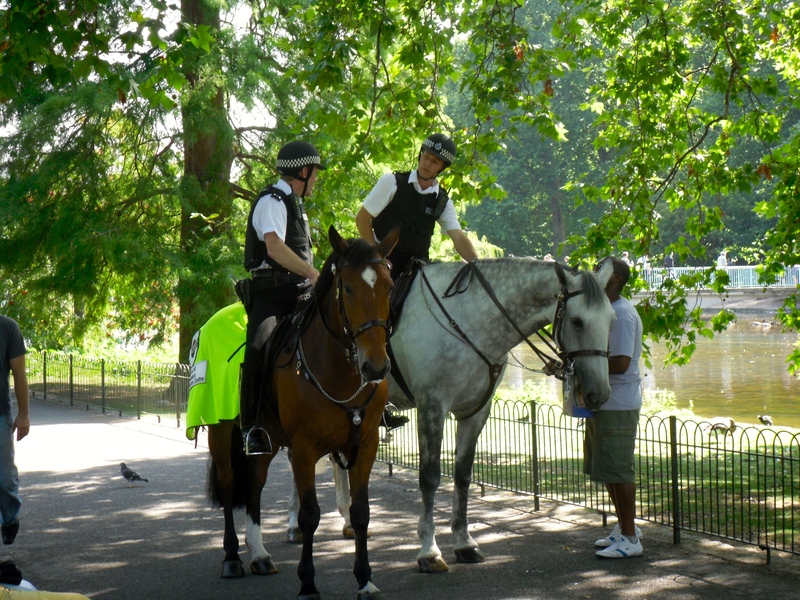 Throw in the Hyde Park and the pride feeling of the Englishman – a very special city! 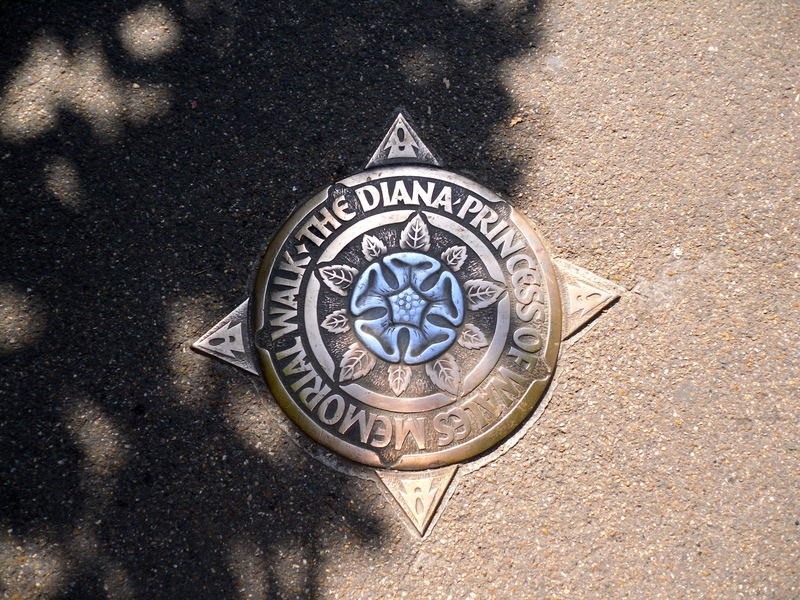 Walk the „Diana Princess of Wales Memorial Walk“ along the Thames – beautiful! Take part of the changing of the guards at Buckingham Palace – pure tradition! Cross the Tower Bridge over the walkway in about 40 meters – impressive! Visit the Portobello Road Market in Notting Hill – unique! Expire the shopping frenzy on Oxford Street – indispensable! 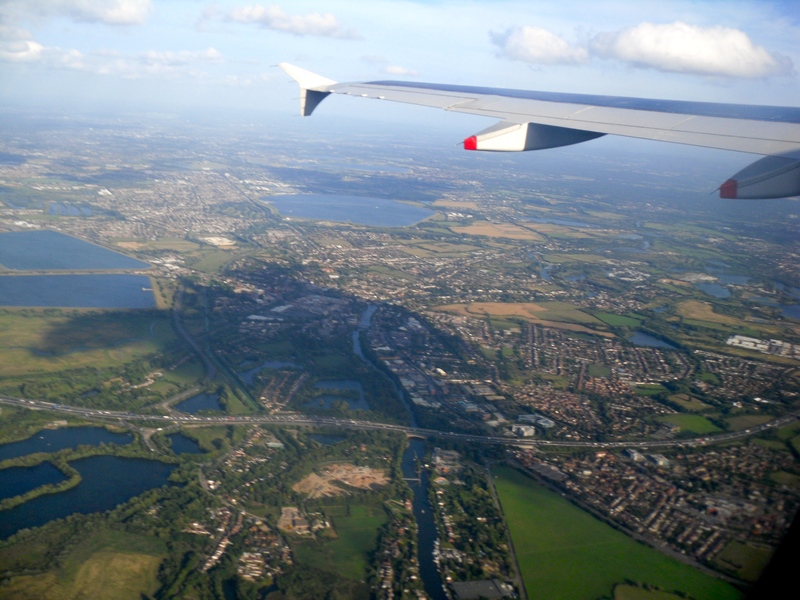 Due to the frequent flight connections, it´s no problem to travel to London within 1.5 hours. Until now, I’ve flown with British Airways and Lufthansa. Perhaps it was a single case, but some of the equipment in the BA aircraft (especially the seats) were so outdated that I would prefer Lufthansa again for the next time. When I visited London the last time, I booked the Thistle Piccadilly Hotel. 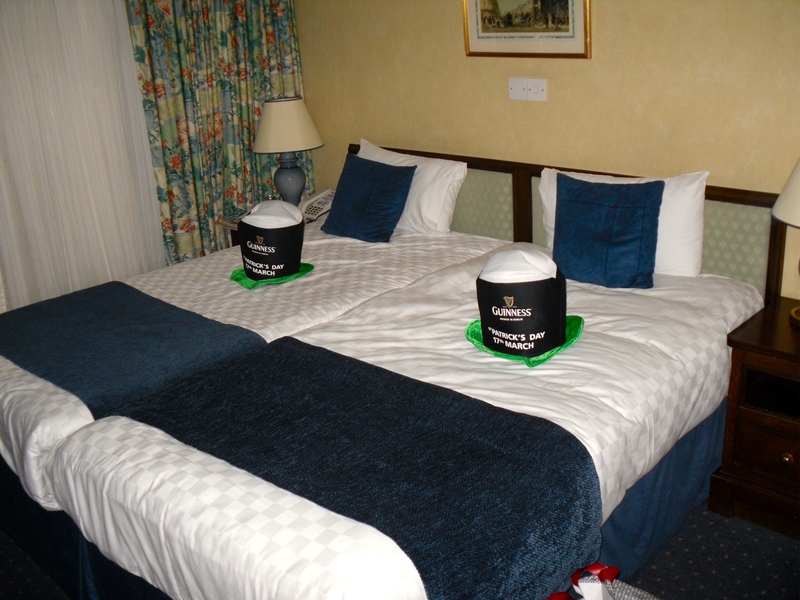 The double room was, as usual in England, quite small and limited to the most necessary, but everything was clean and perfectly adequate for a city trip. What definitely let me recommend this hotel is the location. Absolutely perfect located between Piccadilly Circus and Leicester Square! It just can´t be better! 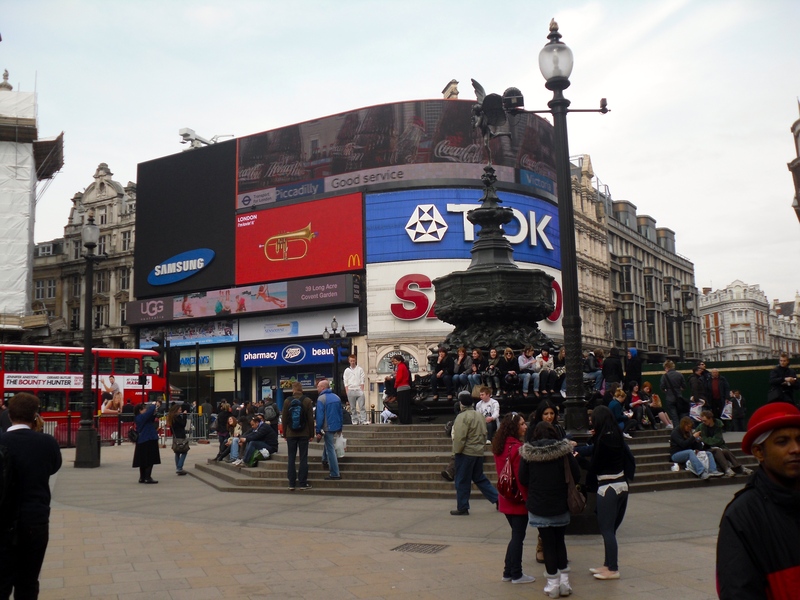 Only a 3 minutes walk separates the hotel from the famous Piccadilly Circus. 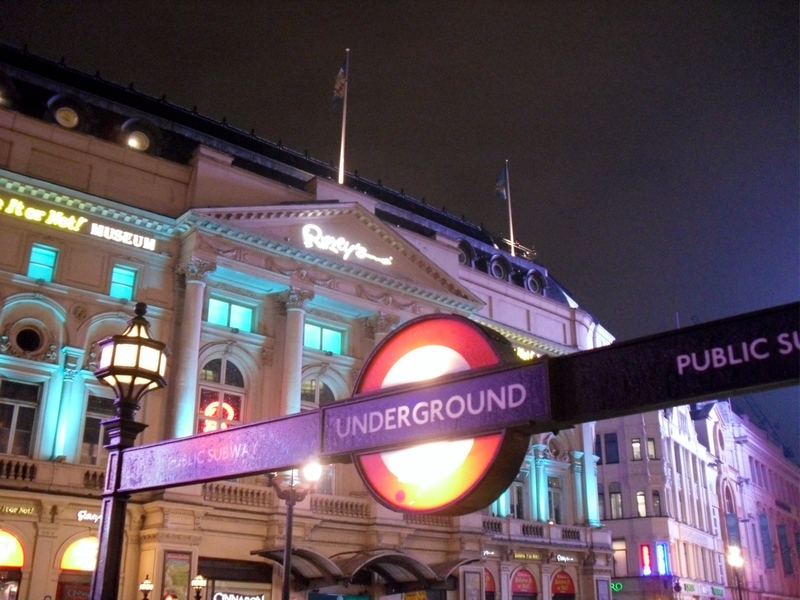 The „Piccadilly Line“ subway connects Heathrow airport directly to the city center. … night – there is always something going on. Especially at night you can see some talented street performers and good musicians – just perfect for a start in the London nightlife. The China Town for example is in walking distance and absuolutely worth a visit! 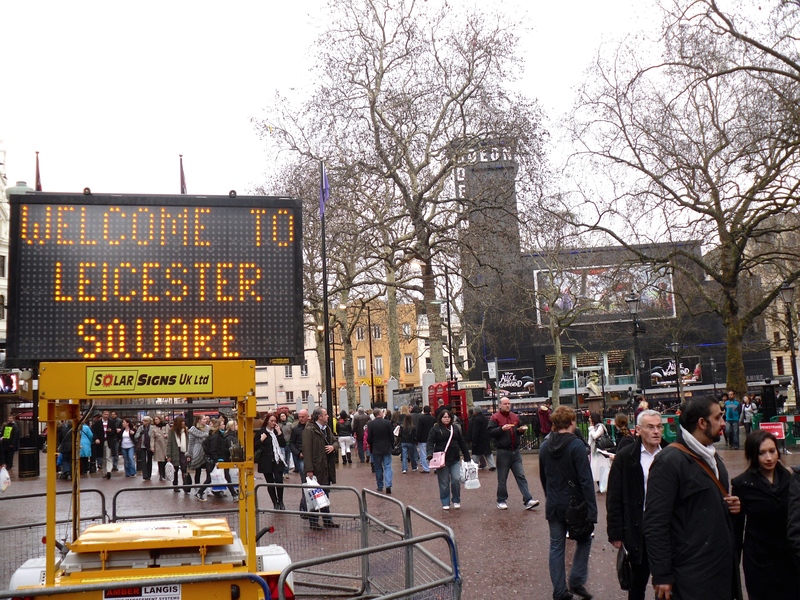 Right outside the hotel as well, there is one of the most famous places of London – Leicester Square. There you will find many shops in a pedestrian zone. In the background you can see the world famous Odeon cinema, where many movies celebrate its premiere. 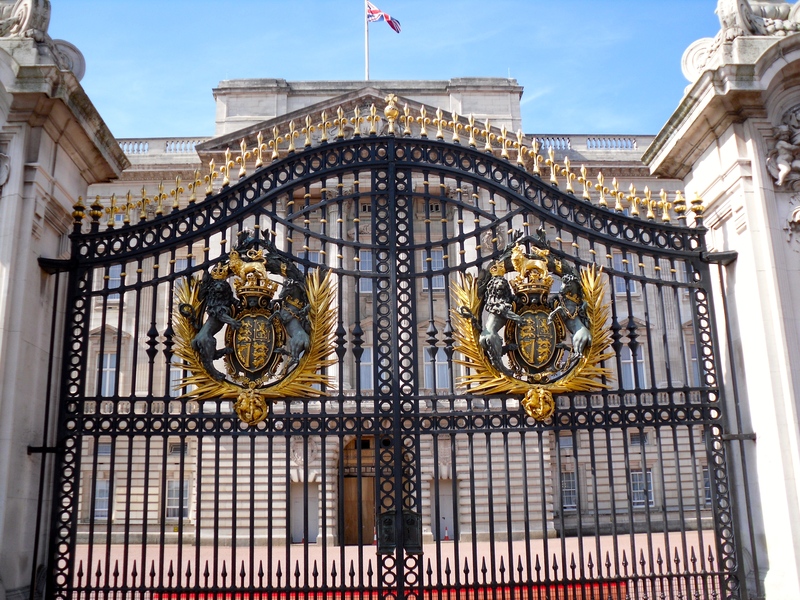 Of course in London you have to visit the residence of the Queen, at least from the outside. The Buckingham Palace acts even more impressive as you know from the media. I can definitley recommand to experience the changing of the guards. My experiences have shown, this traditional ceremony is always joined by crowds of tourists. Netherless, it just has to be experienced. To gain a good place, I can advice everybody to be there at least 30 minutes before it starts. From the Buckingham Palace a part of the Diana Princess of Wales Memorial Walk leads through the St. James’s Park. The trail also passes through large parts of Hyde Park and offers a really nice way to switch off from the bustle of the city. Especially when the weather is nice the walk is a great event! The path leads through the idyllic park, along a lake, right to the Westminster Bridge. 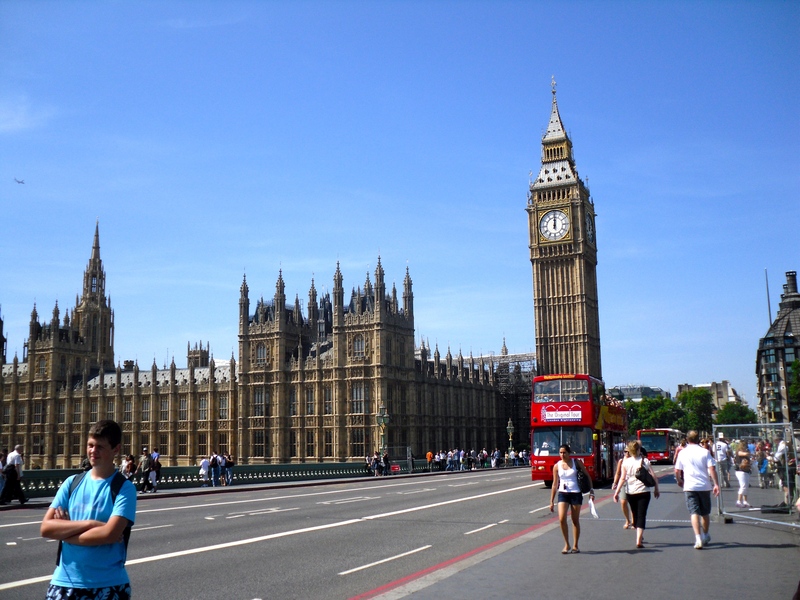 … the Houses of Parliament and the Big Ben. 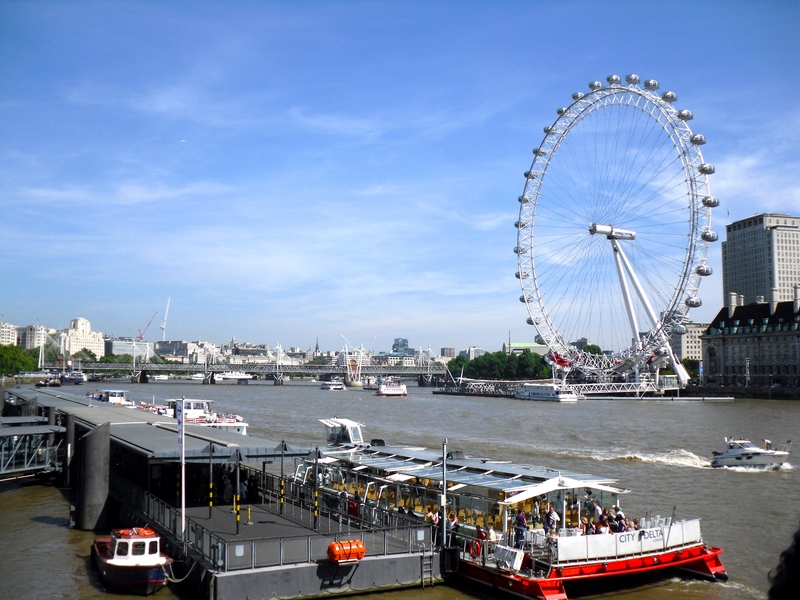 In the opposite direction, the tallest Ferris wheel in Europe, the London Eye, overlooks the Themse with a height of 135 meters. 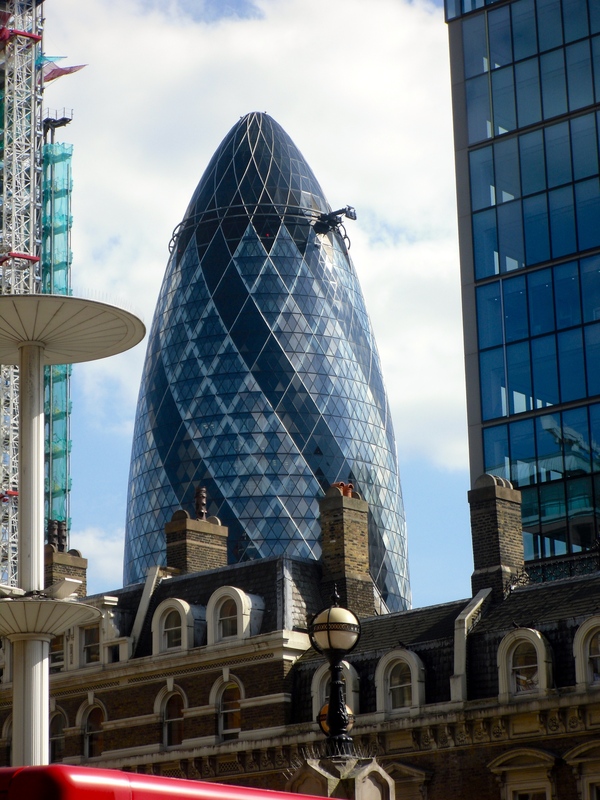 The Gherkin office complex is well-known since 2004, officially called the „Swiss Re Tower“. No matter from which perspective you look at it, the tower acts impressively and has become one of the landmarks of London. 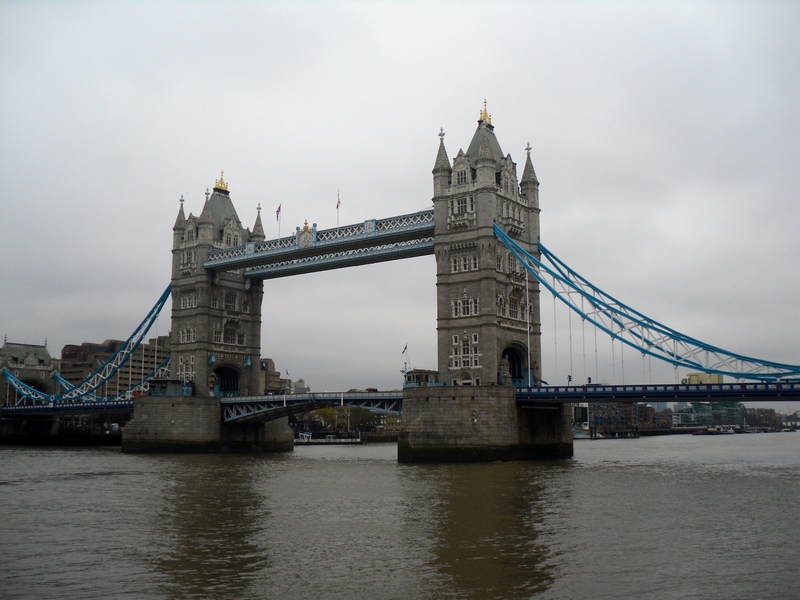 Another sight, maybe the most famous one, you can find further east – the Tower Bridge. Every time I visit London, the bridge fascinates me again. Next to the stunning building itself, for me the best aspect is the view out of the walkway between the two majestic pillars in a height of 43 meters – it´s definitely worth the entrence fee! Tower Bridge Exhibition to walk across the River Thames, you also get an insight into the impressive machinery spaces of the bridge. In the right foreground, you can see the Tower of London. Also highly recommandable for historic-interested people. The easiest way back to Heathrow Airport is definitely the tube. 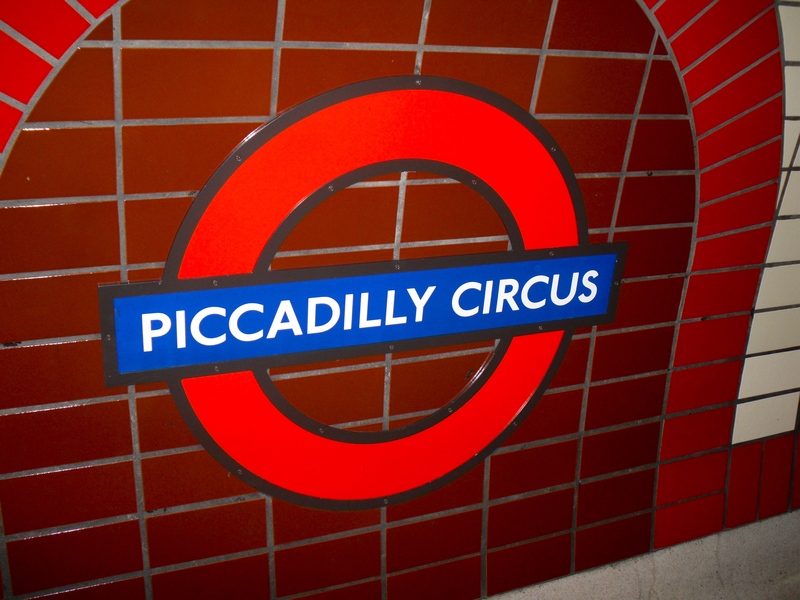 The Piccadilly Line runs directly to the airport within about 45 minutes. During the trip you drive through nice suburbs and in my opinion you don´t need to buy the expensive ticket for the Heathrow Express. 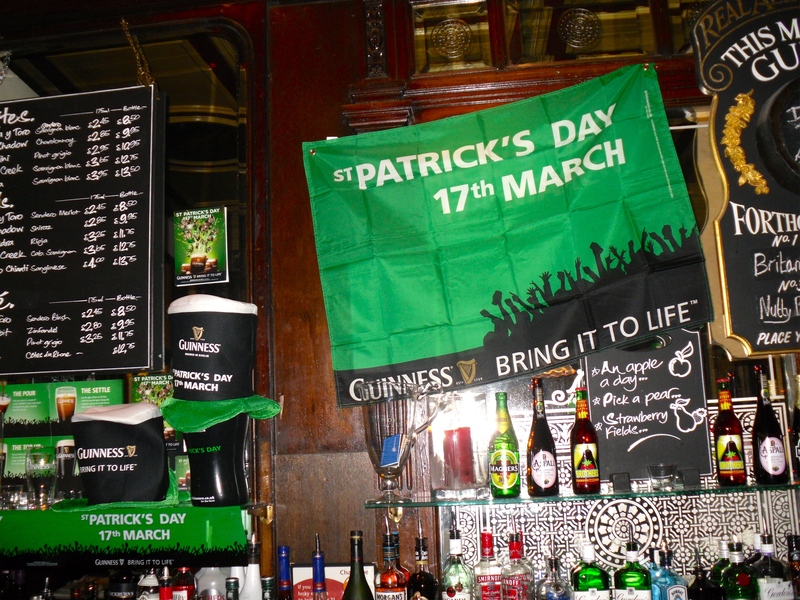 Because of my own experiences I can just recommend to travel to London due Saint Patrick`s Day. The atmosphere is simply great when you stroll through the downtown – bars in the evening! London for me is definitely a city that reveals a new side of itself at every visit. Not just because of the size you can discover a new face of the city in almost every side street. 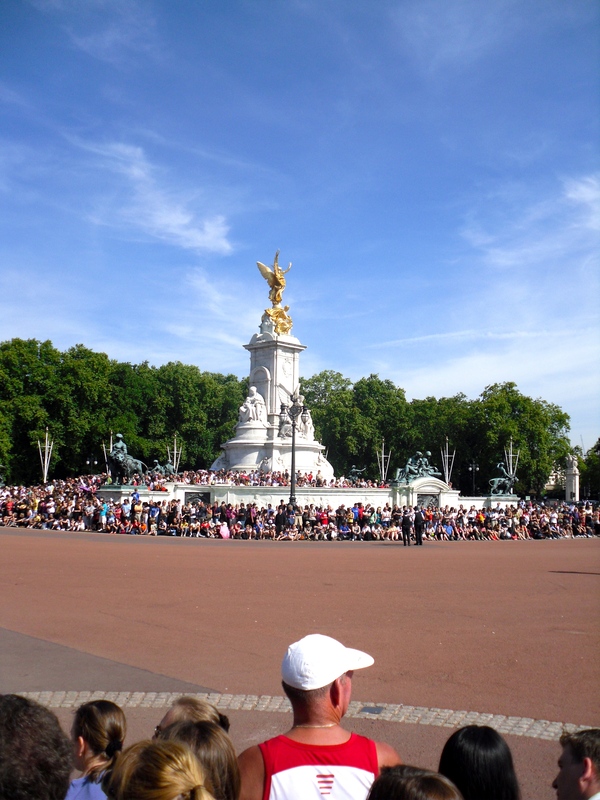 It´s also very interesting and impressive, to walk along the west-side of Hyde Park and admire the mansions in Kensington Palace Gardens, where e.g. Formula 1 – Boss Bernie Ecclestone is living.